Don’t hesitate to ship your repairs to us. Most of our business comes to us in boxes from all around the country. You can pack it yourself or use one of the popular services now available at the UPS Store, Kinko’s, Office Depot, Staples, OfficeMax, etc. Your freight cost will be the lowest if you pack the equipment yourself and take it to a shipper’s hub office directly. Shipper’s “stores” charge significantly more (usually more than double) if they pack for you. Properly packaged, any flash equipment will ship successfully. We receive all major shippers and UPS is our usual recommendation. Even nearby customers ship to us and save the hassle of traffic, the expense of gas, and their valuable time. Be sure to insure your equipment. Note that insurance on used equipment only covers used market value. Good packing is very important. We suggest you use a good (preferably new) 200# test or better box. Pack with at least 2” of resilient but not overly compressible filling. Use bubble wrap, foam peanuts, sheet foam, Styrofoam sheets, etc. and slightly overpack so that the interior is under compression. Newspaper is OK only for lightweight items like small lampheads, chargers, small battery packs, etc. Larger packs will compress newsprint and you will lose your padding ability. Pack well and we won’t have to do more work for you than you planned. UPS/Fedex remind us that any package must be able to withstand a drop from 3 feet to concrete on any corner or side with no damage to contents. When in doubt, overpack! 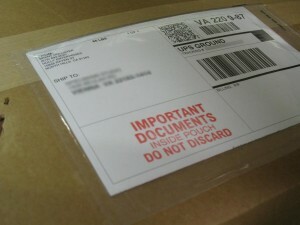 In almost every case, we will repack your equipment in a new box meeting the above specs before sending it back to you. And remember, insurance won’t protect you from poor packing habits. The carrier is the final judge. Bad packing=no claim. Consult with us before shipping glass items like flashtubes and modeling lamps. These are expensive and fragile items and in most cases are not required for repair (we use our own to test your equipment). Glass items require separate packing in bubble wrap and preferably in a small box inside your main container. Try not to ship a lamphead with a large power supply…the head usually loses. If we feel glass items are required for the proper repair of your lamphead, you may leave the tubes in the heads if you use a head cover. Be sure to put a small piece of foam or bubble wrap inside the cover before putting it on to hold the tube down. This will ensure that the tube will not back out of the socket and bang around inside the cover. Don’t send unnecessary items. We do not need power cords, photoeyes, power plugs (for Photogenic Flashmasters) and similar accessories to service your equipment.